The Fourth Annual Perfume, Cosmetics and Design Packaging Congress took place at the Cité des Sciences et de l'Industrie in Paris, France on January 22-23rd. Beyond the usual discussions on packaging and product innovation, the show was highlighted by heavy discussions of sustainability initiatives. “Today, awareness of the sustainable development approach has never been greater and innovation cannot fail to integrate the environment. Only those that have been able to bring about this integration and develop ecological packaging solutions that meet market expectations will survive." 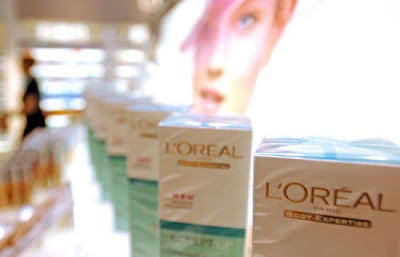 L’Oreal made big headway in the area with a major announcement at the event that is helping to innovate the cosmetics packaging industry. The global giant is participating in the Carbon Disclosure Project (CDP) and the Supply Chain Leadership Collaboration (SCLC) along with Procter and Gamble, Unilever and Nestle. The CDP is a not for profit organization that’s creating dialogue between investors, purchasers and corporations regarding a companies' response to climate change. The organization claims to hold the largest registry of corporate greenhouse gas emissions in the world, and uses it and aims to inform investors about business related climate risks and opportunities. The SCLC is participating in the CDP to create accountability and transparency in the cosmetics packaging business, by asking suppliers to provide information about their carbon footprint as part of the Carbon Disclosure Project (CDP). The project will create a standard method with which to measure carbon emissions and climate change and will deliver relevant information throughout the supply chain that will help manage these emissions in the long term. Through the recruitment of corporate giants such as L'Oreal and Unilever the CDP hopes to draw large numbers of suppliers to disclose this information. "By bringing together the purchasing authority of some of the largest companies in the world, CDP will encourage suppliers to measure and manage their greenhouse emissions. This will enable large companies to work towards managing their total carbon footprint, as the first step to reducing the total carbon footprint is to measure its size," explained CEO of CDP Paul Dickinson. The CDP is calling for new members hoping to encourage tens of thousands of new suppliers to globally disclose climate relevant information. L'Oreal's director of corporate sustainable development managing Pierre Simoncelli said that becoming a member of the SCLC was a win-win situation for the environment, L'Oreal and the company's suppliers.